It's December. DECEMBER! Which means three things: 1) Time flies; 2) I am waaaay behind on my holiday shopping and baking, and 3) this is the final month of the Book Club for the New Administration! There is purportedly an old Chinese blessing I used to hear as a kid, and later learned it's meant to be a curse: "May you live in interesting times." Well, it's been an interesting year, to be sure. Just look at the variety of titles we've tackled in this reading list! What did you think of that last one? To my mind, Moxie could very well be the new anthem for young women everywhere. The horrid realities behind the #MeToo movement clearly show a need for our young people to be taught both early and unequivocally where the lines are drawn between appropriate and inappropriate behavior. When we learn to accept escalating transgressions, that line starts to move to places it should never go. This is not just a feminist issue. It's a humanist issue. We all deserve respect. I hope you'll consider working the conversation into your family holiday time this season. Let's start the new year on better, more informed footing. So, it's been a rollercoaster. Who knew Dr. Seuss would figure so heavily into this book club? I suppose there's a reason why simple messages are strongest. With short attention spans and so much being thrown our way, getting to the point is important. Any extra words between the audience and the message are opportunities to go astray. With that in mind, let's get to it. 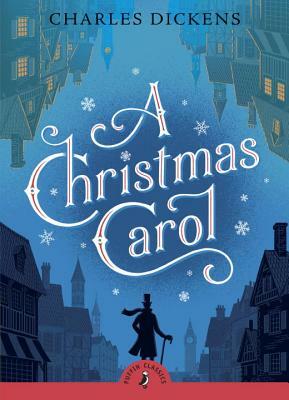 Synopsis: A Christmas Carol is one of Charles Dickens' most loved books - a true classic and a Christmas time must-read. Ebenezer Scrooge is a mean, miserable, bitter old man with no friends. One cold Christmas Eve, three ghosts take him on a scary journey to show him the error of his nasty ways. By visiting his past, present and future, Scrooge learns to love Christmas and the people all around him. I know, it seems like an obvious holiday read, but it's also a political one. The story of a mean old rich man with no friends who wants to ruin everyone else's joy... interpret it as you will, but this is a story of the haves and have nots, about kindness versus cruelty, of poverty and wealth. It's the story of our nation right now, and a story of redemption. How do we want to see the world come Christmas morning? Who do we want to be-- forces of good, or ill? Damned, or able to count our blessings as surely as Marley counts the links in his self-made chains. Besides, it's a fantastic read. Share it with your family, regardless of your faith or holiday traditions. I promise you'll find something worthwhile to enjoy. Thanks for taking this crazy ride with me. As always, you can post your responses to me on Twitter #BookClub4NewAdmin. I'm not sure if we'll continue into the new year (it's been kind of exhausting! ), but the goal has been accomplished. And the great thing about books is, you can read them again and again!